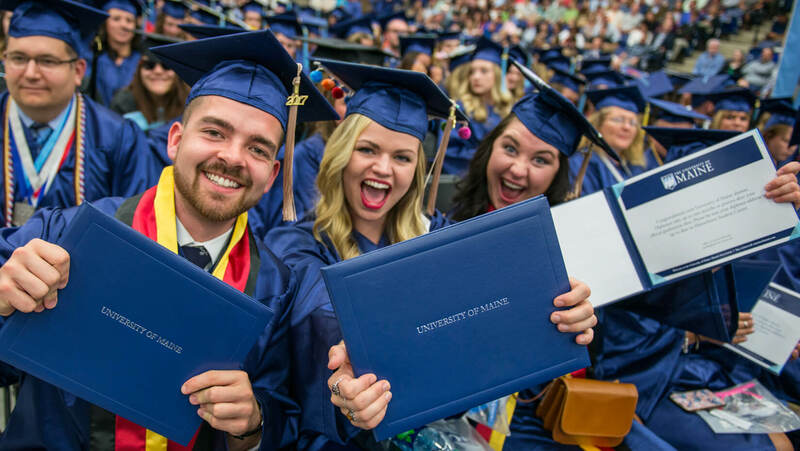 For the second consecutive year, the University of Maine graduated one of the largest classes in its history — more than 1,900 students — during the 215th Commencement on May 13 in Harold Alfond Sports Arena on campus. The event, held in two ceremonies, included the conferral of 33 doctoral degrees and two honorary doctorates to alumni: Maine Native American elder Donna Loring and Kenneth Hodgkins, director of the Office of Space and Advanced Technology in the Bureau of Oceans, International Environmental and Scientific Affairs, U.S. State Department. Commencement speakers Abe and Heather Furth told the students to define their version of success and come to terms with the discomfort associated with pushing boundaries. Just as important, the couple told the students, do all of that now, and don’t wait. The Furths met as students at UMaine in 1999. In the past decade, the Orono couple has founded restaurants, a brewery and a property development company. They are committed to creating thriving downtown communities through business creation and property redevelopment. In their Commencement address, the Furths recounted their first such adventure together — a cross-country motorcycle trip that cemented their relationship and their future as entrepreneurs. Their first step: Buy an old motorcycle and learn to ride it. They also talked about the fear and self-doubt they overcame when starting their first restaurant. They were both 23. “My hope for all of you is that you appreciate that life is finite, and that you dare to do what you want with your time, even if it scares you,” said Abe Furth. 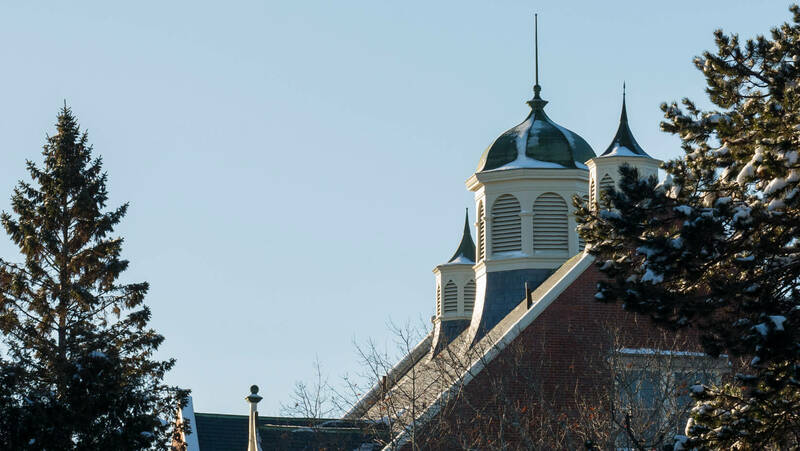 The morning ceremony included students from the College of Education and Human Development, the College of Liberal Arts and Sciences, the Division of Lifelong Learning, and the Maine Business School. The afternoon ceremony included those in the College of Engineering, and the College of Natural Sciences, Forestry, and Agriculture. The 2017 valedictorian is Allyson Eslin of Bangor, Maine, an honors student who majored in economics, political science and psychology. Salutatorian Joshua Patnaude of Sanford, Maine majored in computer engineering and electrical engineering. UMaine’s top annual faculty award winners for 2017 also were recognized during Commencement. 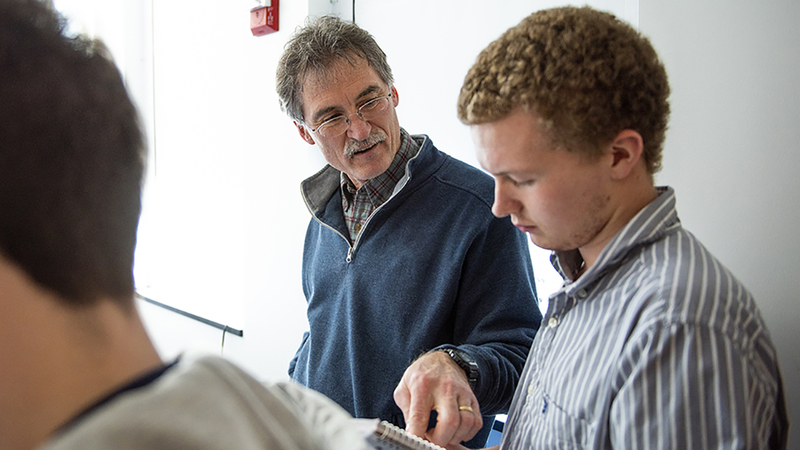 This year’s Distinguished Maine Professor is John Mahon, internationally recognized professor of management and one of the world’s foremost experts on corporate social responsibility. Research Professor Marcella Sorg, a forensics researcher on the front lines of the drug abuse crisis in Maine and nationwide, is the 2017 Presidential Public Service Achievement Award recipient. Professor of English Harvey Kail, founder of UMaine’s nationally recognized Writing Center, is the 2017 Presidential Outstanding Teaching Award winner. 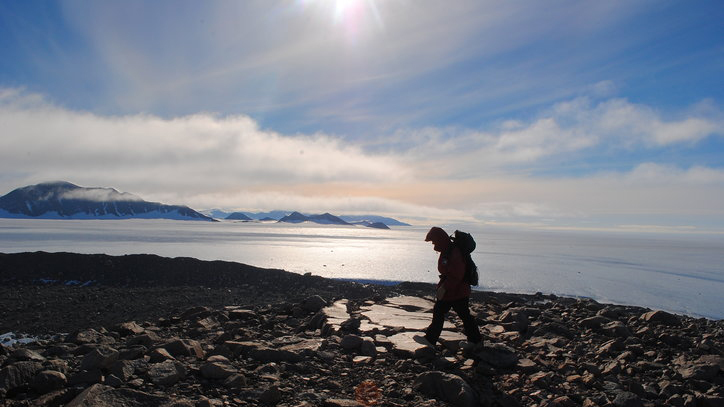 And Professor of Anthropology and Quaternary and Climate Studies Daniel Sandweiss, an international expert on El Niño, is the 2017 Presidential Research and Creative Achievement Award recipient.